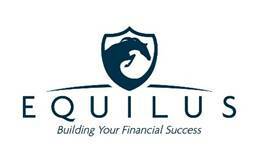 Contact - Equilus Group, Inc.
Joel R Frank is an investment adviser representative of Equilus Group, Inc. Equilus Group, Inc is a registered investment adviser in the State of Washington. The Adviser may not transact business in states where it is not appropriately registered, excluded or exempted from registration. Individualized responses to persons that involve either the effecting of transaction in securities or the rendering of personalize investment advice for compensation, will not be made without registration or exemption.